The most important one isn’t really a tool, but it is very important. You need to have cold cookies when you put them in the oven. 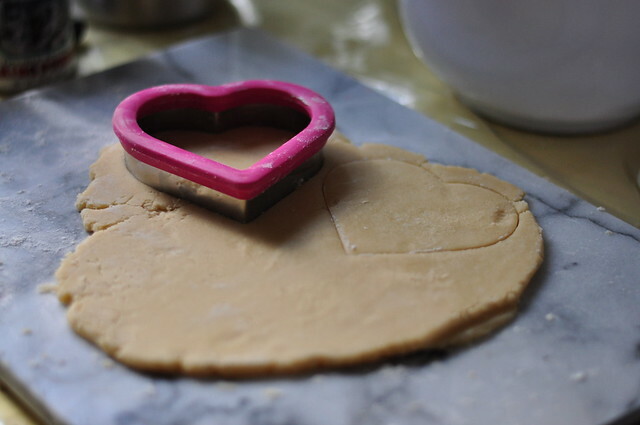 Cold cookies hold their shape better. They won’t spread as much when they bake. 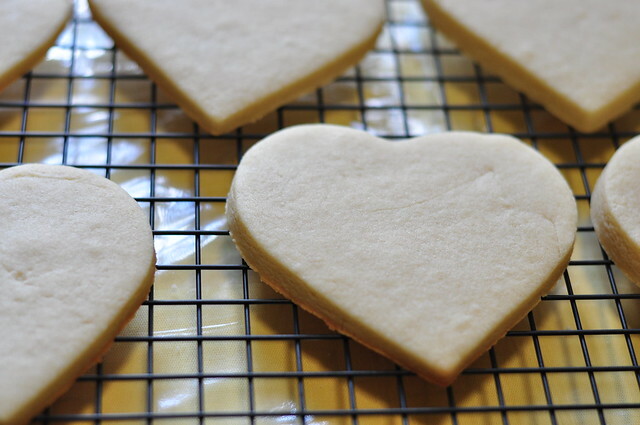 Most sugar cookie recipes require you to refrigerate the dough a couple hours before rolling out. This one you don’t have to! Just make and roll right away. This is what I love about this recipe. The second one is rolling pin guides. When I rolled my first sugar cookies, some were very thick and others were paper thin. These really help in getting the thickness you want. I got mine at Crate and Barrel and they’ve been working great! And the third tool you need is flour! Sticky dough is your enemy. Using flour when rolling out dough is key to prevent that! I was afraid at first that it would ruin the taste of the cookie, but these cookies taste fantastic. 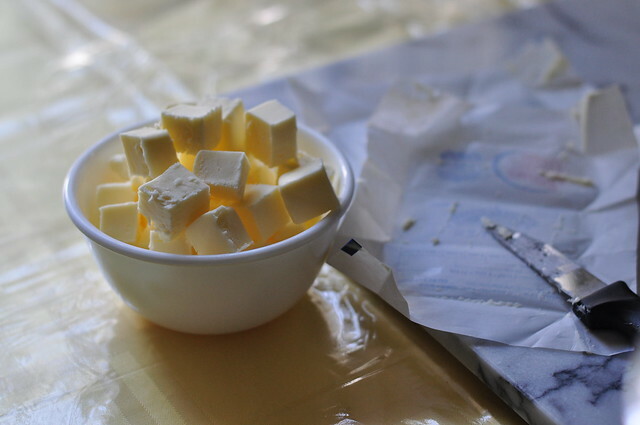 You start off with cold butter, in chunks. 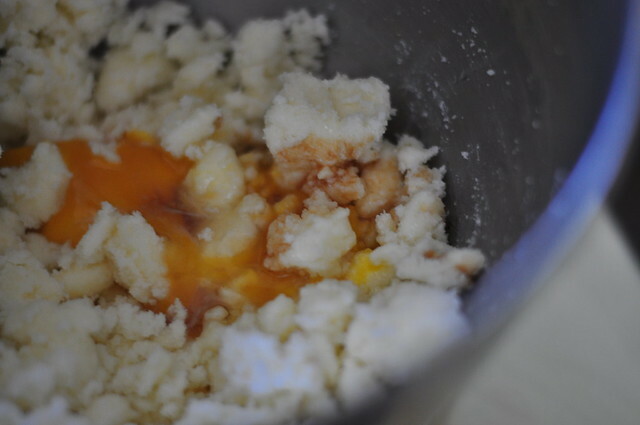 Add the egg and extracts. 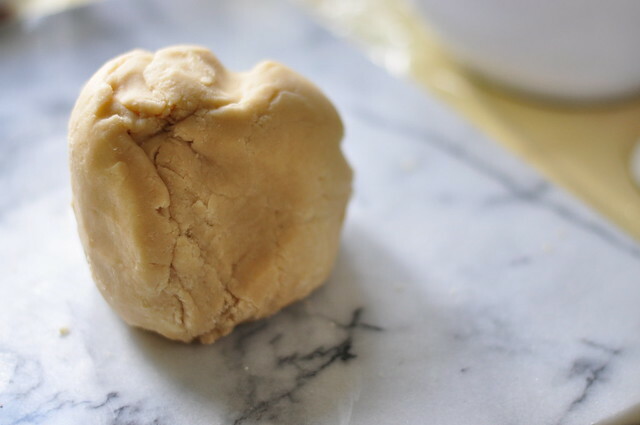 Your dough will look like this. 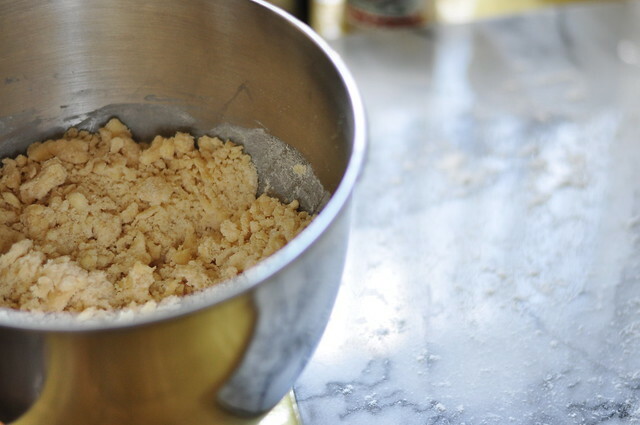 Take a chunk of it out and knead it together. Roll it out and cut cookies! 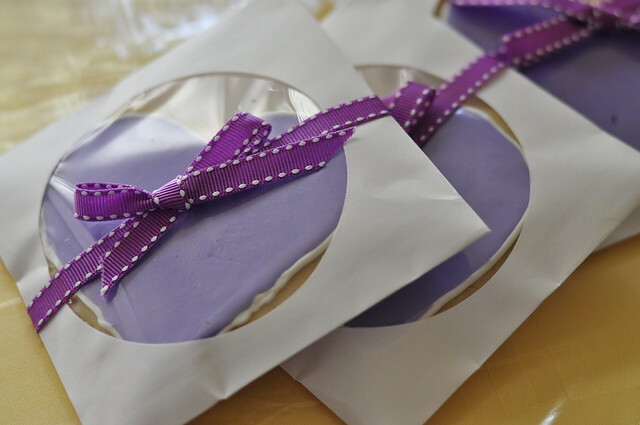 I like wrapping my big sugar cookies in paper CD cases. 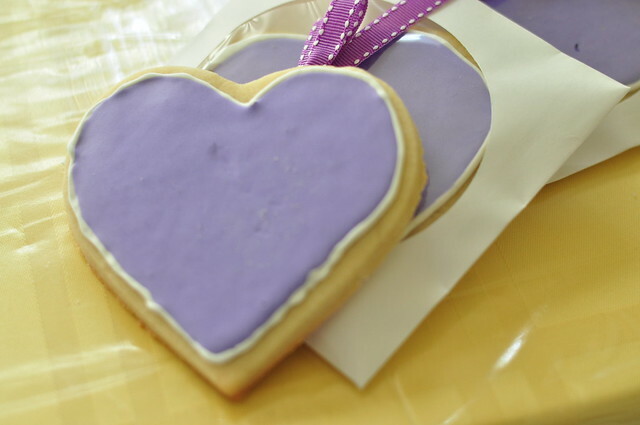 You can show off your cookie and be smart about the packaging. 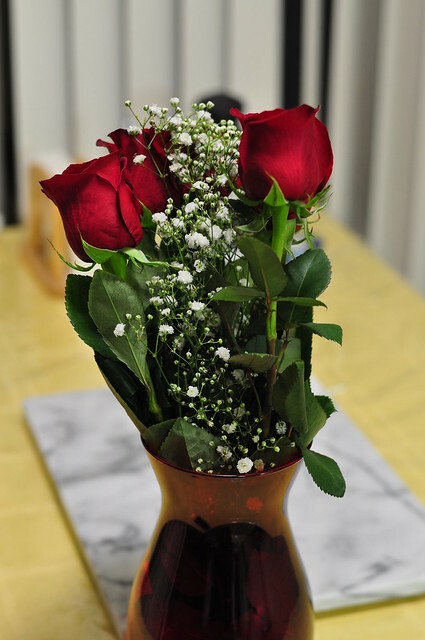 People get a real kick out of it too because it is very resourceful. For some reason, I always end up with extra icing. No matter what kind I make… for cookies, for cupcakes… maybe I just don’t use it right. Who knows. 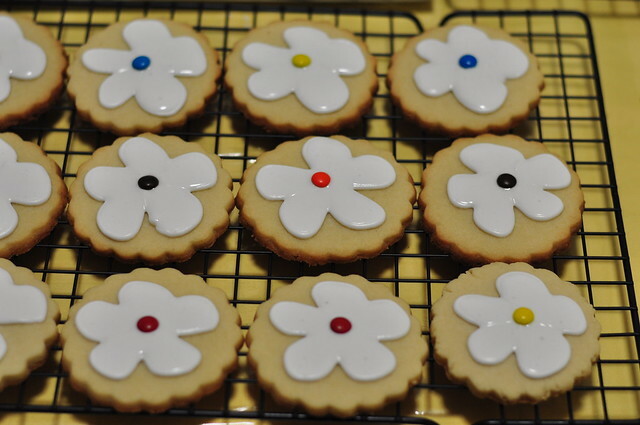 I had a lot left over from making the heart cookies that I decided to make another batch of sugar cookies and make them like flowers. I used mini M&M’s as the center of a daisy. 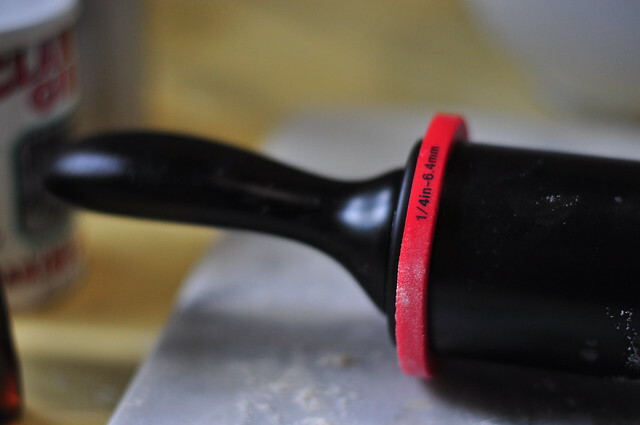 Roll on a floured surface to about 1/4″ to 3/8″ thick, and cut into shapes. Place on parchment lined baking sheets (I recommend freezing the cut out shape on the baking sheet for 5 minutes before baking) and bake for 10-12 minutes. Let sit a few minutes on the sheet, then transfer to a cooling rack. Add in the corn syrup and extract if desired. ( I think the corn syrup helps keep the icing shiny.) 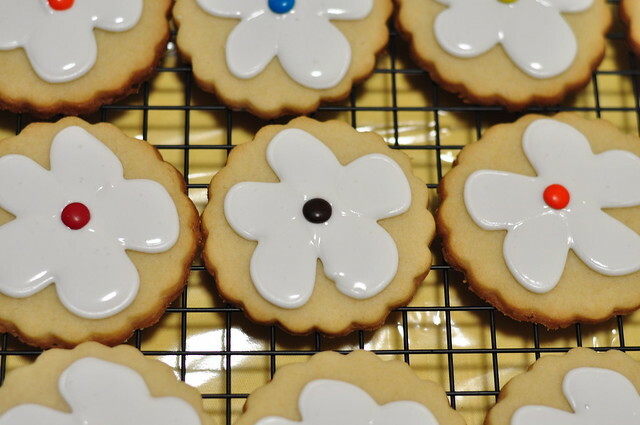 Increase speed to med-high/high and beat for about 5 minutes, just until the icing is glossy and stiff peaks form. 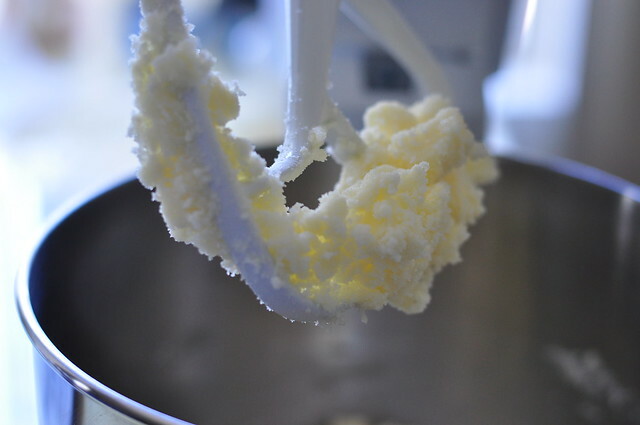 (You should be able to remove the beater from the mixer and hold up and jiggle without the peak falling.) Do not overbeat.For tips and questions, just visit Bake at 350’s website.